Who made the team? Don’t worry. Our Lineup Collection instantly gives your child MVP status. 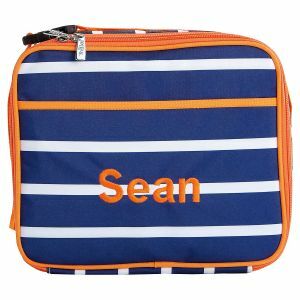 Polyester lunchbox with easy to clean insulated lining. Zipper closure on main compartment. Wipe clean with damp cloth. 10"L x 3 1/2"W x 8 1/2"H.